If you read the Guardians of the Galaxy comic books, you know that Groot regrowing from a single twig happened in the comics as well. It’s not just a movie thing. 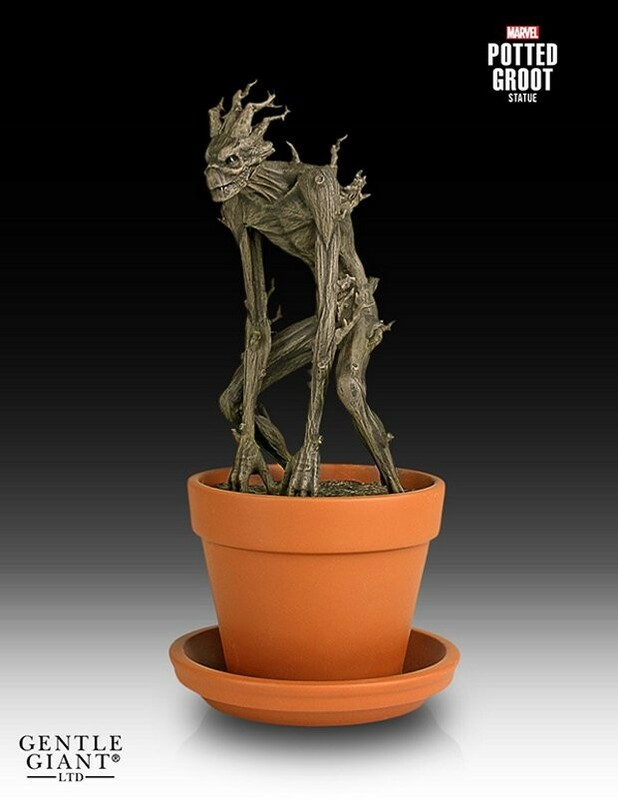 This is Gentle Giant’s comic book inspired version of Groot in a pot. 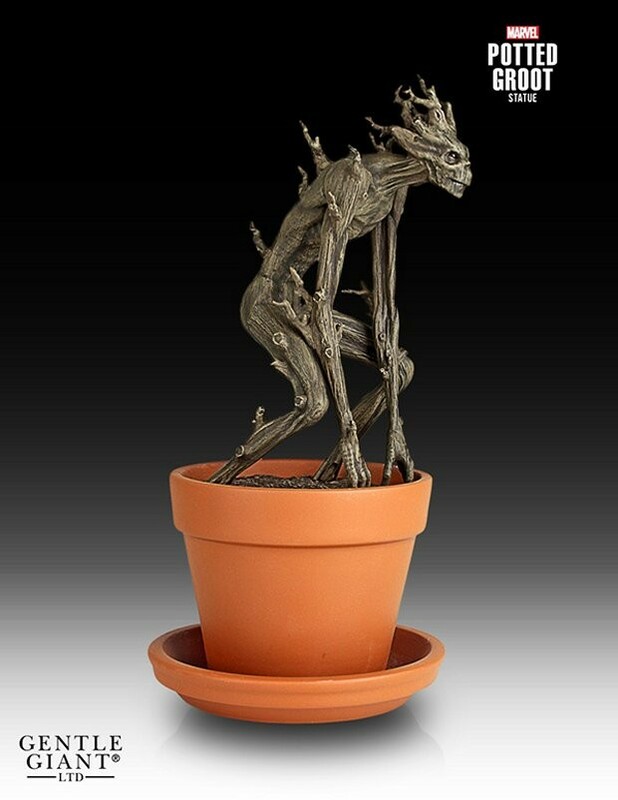 Sure, it’s not as cute as baby Groot from the movie, but it still looks pretty awesome – even if it doesn’t dance. 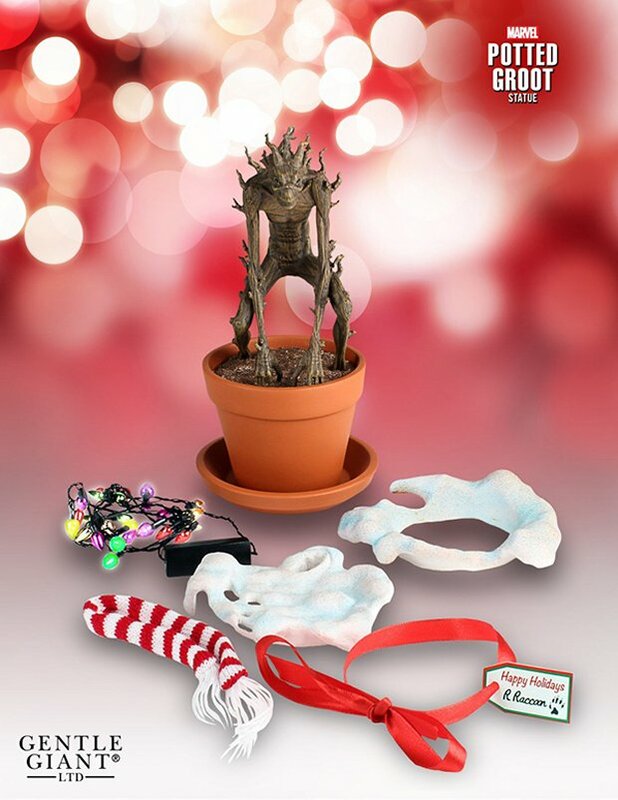 Another cool bonus is that this Groot comes with it’s own holiday decorations so you can decorate him for Christmas next year. That makes this statue perfect as far as I’m concerned. 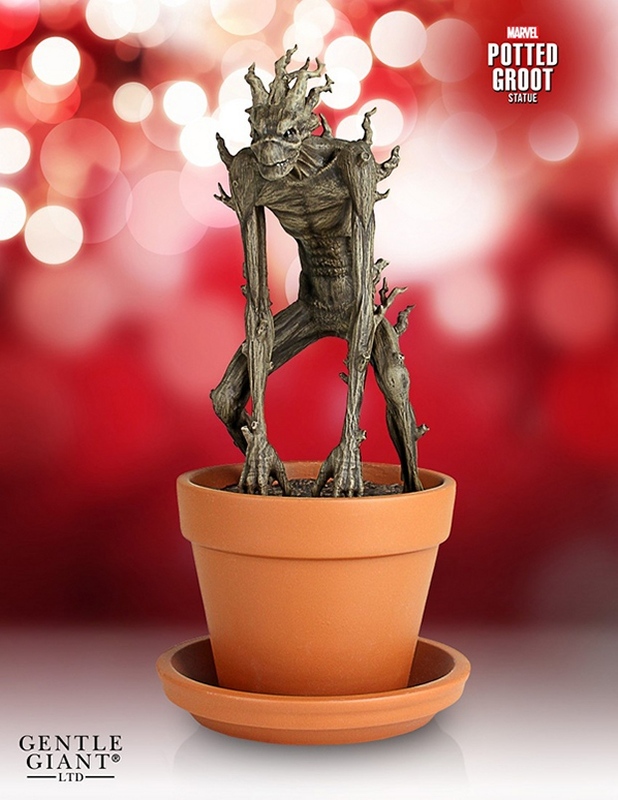 I would decorate Groot every year for the holidays.